The 1st Choice for BCTS Tutoring! *Request a call-back to learn more. Tutoring course page and class schedules. Lessons 1 – 10 including nearly 100 diagnostic exams. Note the BCAcademy lessons are in a new, separate location from tutoring and enrollment is free to subscribers on the following course page. Quality learning material organized specifically for the BCA Admissions Exam. 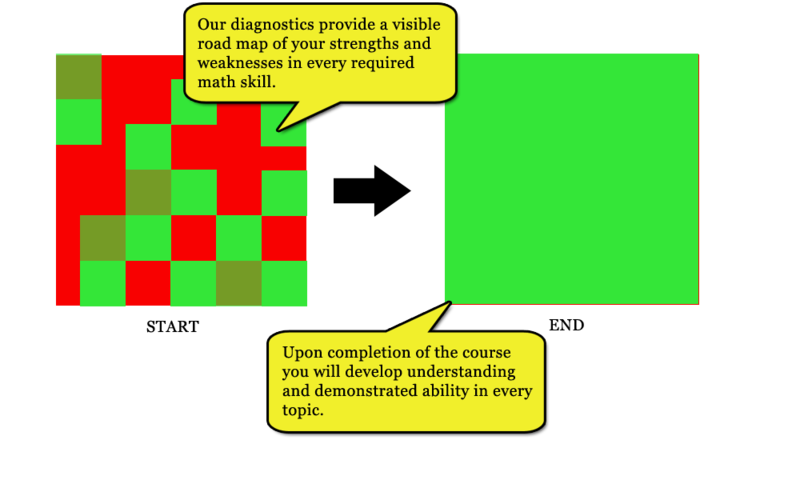 The best diagnostics tool in the business to help you identify needed areas for learning. Live tutoring and always open teaching assistant hours all the way up to your exam. The tutoring course is in addition and only available to subscribers. 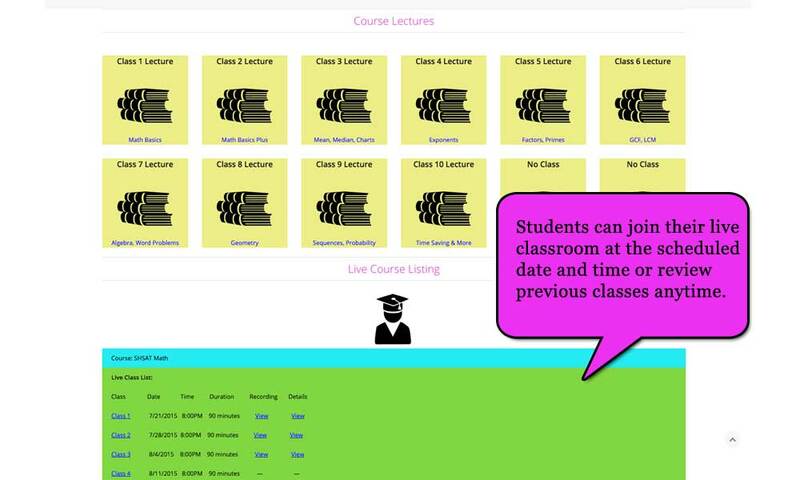 Students navigate to their My Courses page to see their scheduled classes and course lectures. Before entering the live online classroom with their tutor, students can choose from among three different quality sources to learn and review course material. students will see a wealth of subject based written and video tutorials including our targeted online classroom units supplemented by excellent online sources like Khan Academy. We take the best online material, organize it around the BCA exam requirements, and put it at your student’s fingertips to learn. We get to know you better than anyone else! At least in the context of the BCA Admissions Exam. Most expensive courses rely on one exam at the start to diagnose a student. That simply is not enough because there are over 60 core skills covered on the math exam alone. Good tutors will constantly look to identify these weaknesses with practice, but even they cannot keep track of 60+ data points on each student. Our intelligent diagnostics follow the same approach as the best teachers, but they capture all the data about you and provide clear, objective details about your areas of strength and weakness. Furthermore, students must ultimately pass our diagnostic exams for each lesson in order to complete the course. As a result, by course end your student will develop a comfortable base in every topic covered on the exam. students are prepared to get the most out of their class tutorial. 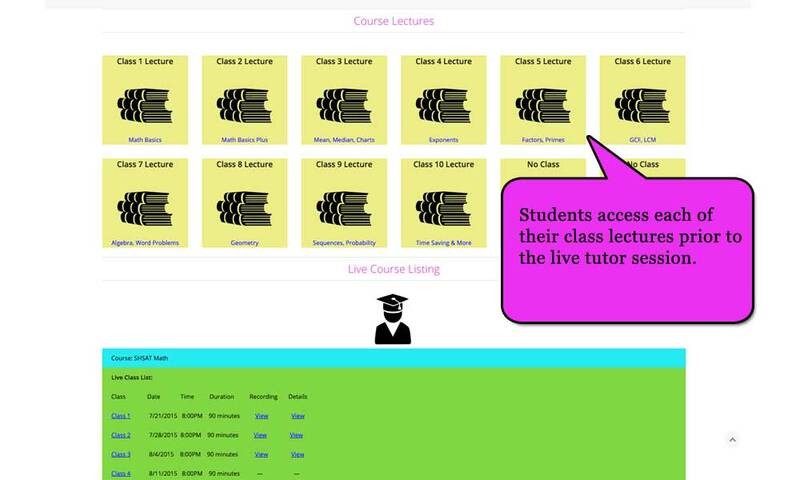 At the appropriate class date and time they can navigate back to their My Courses page and enter the live classroom tutorial. 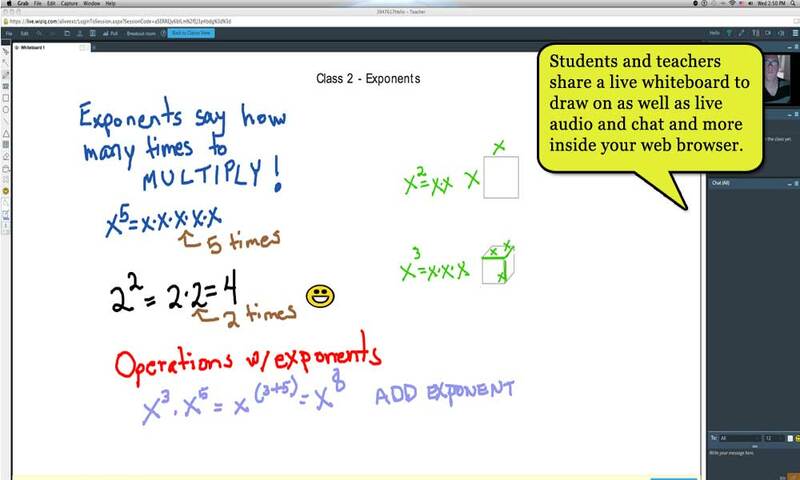 Students will see the teacher’s whiteboard in front of them just like any other class. They will have live audio, chat, and possibly video to communicate with their instructor. The learning begins and the students can make the most of their time with the tutor right up until exam day. Take a sneak peek at a class. Thanks to advances in internet connectivity and technology in the last year alone, a student working with a quality instructor online will today be as well trained and prepared as students working only in a traditional setting. There are many clear advantages to working online. Come join us and share the benefits and the value! Do I need to already be a subscriber in order to enroll in the course? YES! You need to sign up to one of the three basic subscriber packages to be eligible for any tutoring course. Please be advised you must maintain your subscription through the end date of the course. The course covers you all the way up to your exam date. It organizes your math studies and requires you to demonstrate skills in each math topic before advancing to the next set of skills, but you still have flexibility to set your pace. Furthermore, we make sure you are sharp for your exam and offer you access to all parts of the course including tutoring right up until the time you take the exam. I enrolled in the course, but I am having difficulty accessing course pages? First, try clearing your browser cache (or trying from another browser if convenient) and then accessing the course pages. Like our quizzes most course pages are generated dynamically so clearing the cache will resolve the problem. If you are being redirected to the home page or having similar experience this should resolve the problem. If, on the other hand, you are receiving a message indicating you must enroll in the course and you believe you have enrolled already then there may be a problem with your account permission settings. Please Contact Us immediately to resolve the issue. I am a tutor. Can I use the course to teach my students? Absolutely! Whether you are an individual tutor or a larger tutoring group that wants to offer a powerful, affordable online solution for your tutoring and even customize portions to your unique course, deliver depth and breadth of practice material, and offer the most comprehensive diagnostic tools available then feel free to Contact Us for more information. If you are unhappy for any reason after the 1st tutorial then you can cancel the course and request a refund. If it is a situation where you would like to switch teachers and continue the course we will make every effort to accommodate you. Our goal is to help your student get the best opportunity to prepare for his/her exam and we want you both to be pleased with the value you receive. Your bandwidth is an important component and it is advised you have access to greater than 1Mbps internet service. Most any high speed cable modem service will suffice. Chrome, Safari and Firefox browsers are supported. Also, it is advisable you utilize a device with good screen size and set aside quiet space to take your lessons where you can take notes. Furthermore, we advise using a headset with microphone, but your built-in computer microphone and speakers are often sufficient for most late model computers, laptops. etc. What should I expect as a parent? First and foremost, it is essential parents be committed to the course alongside their child. Failing to review and study the required lecture material prior to each tutoring session will significantly slow your student’s progress. A push from the parent can go a long way! Make sure your student sets aside time to complete his/her work because failing to practice on a regular basis will likely be detrimental to progress and results. You can contact us at any time to review your student’s progress and we will make periodic assessments available for you. I enrolled. When does the course begin? The course begins as soon as you sign up. Students will have to begin with a personal assessment survey and an introductory exam, but then they can begin to study, work on passing the required exams, asking questions and reviewing the tutorial schedule to participate in tutorials. What if I cannot join live classes for any reason? If you lack the required internet access speed or cannot access the live tutoring sessions for any reason, you can still get a great deal out of the course and take the course in its entirety via recorded tutoring sessions rather than live sessions. You will maintain the ability to ask questions and follow up with teaching assistants. Contact Us if this applies to you. A discounted price will be provided for the course without live tutors. What do you mean by elite tutors? We strive to include only high quality tutors in our courses. What exactly does that mean? Tutors must meet the following requirements. Experience teaching Math or English, as appropriate, at a level above the requirements for the exam. Graduated from a leading university and often our tutors are also prior students of specialized high schools who also excelled on the exam. 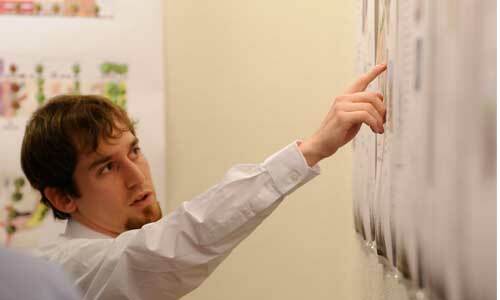 Experience at major tutoring organizations is not a requirement, but is typical among our tutors. Achieved excellent scores on standardized tests like the SAT, AP, etc. Rated highly by third party services and passed background checks. Share a general enthusiasm for the job and patience for working with students. Do I have to be admitted to the course? We do not screen students for admission. We believe every student who wants to prepare should have a quality, affordable option available. Just bring your enthusiasm and get ready to put in the time and effort! Many courses require admission, but that is tantamount to only accepting students who are already most likely to succeed. How do you know if the tutoring course is any good or if the pre-screened students would have excelled anyway? We do not believe in screening students before classes begin. It only compounds differences in prior academic course levels rather than inspiring the inherent potential ability of under-represented groups at the specialized high schools. How can you offer a quality course for a fraction of the cost of others? Does it really matter? My grandma used to say never look a gift horse in the mouth! It’s a great deal and for many that is probably enough, but if you are reading this I suspect you are curious. For starters we do not operate with the same overhead. Additionally, when you participate in a tutored course you are paying a high hourly rate for every minute whether your student is interacting with the tutor, just listening asynchronously to the teacher lecture, or sleeping. Okay! We hope he/she is not sleeping, but you probably should not pay much for the asynchronous lecture either because many services, including our own, provide that value add for a low or nominal cost. Furthermore, even struggling students often have a good handle on 50% or more of the course material. Good students may know 80% or more of the material well. Why pay for dozens of hours at a high hourly rate to cover material your student has already mastered? We liken that model to broadcast TV. You have to watch everything the station delivers and only what they deliver when they say they will deliver it. We prefer the internet where users can optimize and choose the services they need when they want them. Do you offer homework or practice exams? 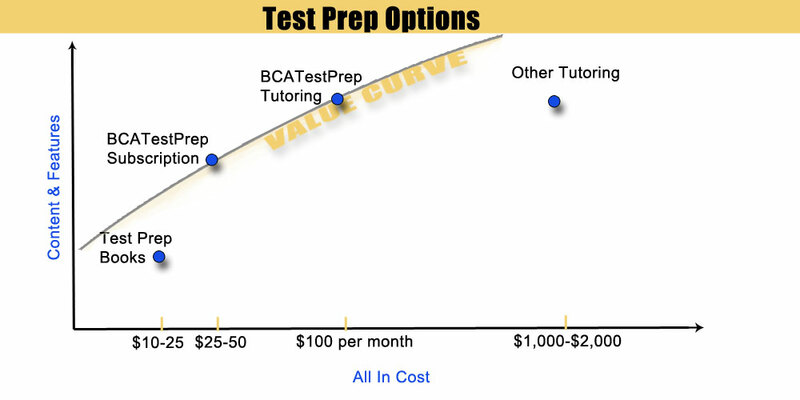 BCATestPrep.com and its sister site TestPrepSHSAT.com are the leading online providers of test preparation services for the most challenging high school admissions exams. If you want practice drills and exams then there is no better place to turn and these materials will already be available to any subscriber. They include access to free sample exams and dozens of challenging practice exams and problem sets included in the core subscription. Your time commitment to the course, however, is exclusive of the added (and extremely beneficial) effort you put into practice exams. If you wish to join a course and are not yet a subscriber then click the button below to Get Started with one of the core subscription packages.